Students of Russian history and scholars interested in Pitirim A. Sorokin and his cultural milieu may be interested to know that the Russian journalist and historian Yuri Doykov has a site. There you will find information about and downloadable text from Doykov’s biography of Sorokin: Питирим Сорокин. Человек вне сезона (Pitirim Sorokin: A man out of season). 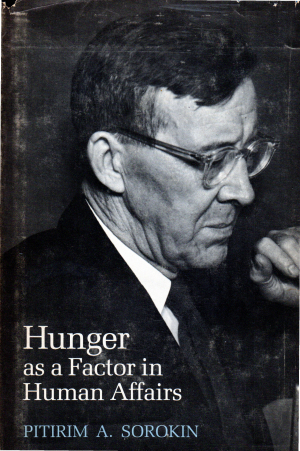 Posted above as a downloadable PDF file is the inaugural Annual Sorokin Lecture, which was presented in October 1968 by Pitirim A. Sorokin’s friend and former colleague, the sociologist Carle C. Zimmerman, at the University of Saskatchewan in 1968. The University of Saskatchewan is a main repository of materials from the personal library of Sorokin, including letters, notebooks, photographs, books, original and revised manuscripts, Sorokin’s works in translation, and book reviews. The university holds an annual lecture in Sorokin’s honor, with the most recent lecture, in the 49th in the series, having been given in January 2018. It is a very thorough and thoughtful as well as discerning review, and I thought it worth posting.